Listening to this now makes me think about how the deaths of Tom Petty and Johnny Cash have greatly impacted popular music. I’m so glad Rick Rubin captured both. The Heartbreakers are such an influential band. And here, they help Cash give rocking material one last memorable go. American II:Unchained is a classic and, overall, the best album of the six Cash/Rubin productions. Appreciating how tight the Heartbreakers were as a band—Mike Campbell remains a criminally underrated guitar player—and how as an artist Cash was habitually unafraid of taking chances. Modern country music could learn a lot from his example. “I’ve Been Everywhere” would be a great soundtrack to a flash-edited helicopter tour of the entire U.S.A.
Encouraged by the commercial and artistic success of their first collaboration, the guitar-and-voice-only American Recordings, Johnny Cash and Rick Rubin took the next logical step by adding a band. And what a band it was: Tom Petty & the Heartbreakers with Steve Ferrone on drums. Other guests include Lindsey Buckingham and Mick Fleetwood (both on “Sea of Heartbreak”), Flea (“Spiritual”), and Cash’s former son-in-law Marty Stuart (on seven different tracks). Recorded over a two-year period at Oceanway Recording, Akademie Mathematique of Philosophical Sound Research, and NRG Recording (all in Hollywood), Sound City, (Van Nuys), and Cowboy Arms Hotel and Recording Spa (Nashville), American II:Unchained stands as the rock-band entry of the Cash/Rubin collaborations. While American Recordings features several solemn tunes, American II:Unchained is all about letting `er rip! That, and imbibing in some audible fun. On the swinging cover of “Sea of Heartbreak,” first a hit for Don Gibson and later covered by the Everly Brothers, the Searchers, and Cash’s daughter Rosanne, the guests and front man sound like they are all having a ball. Rubin’s philosophy of doing ever-more surprising covers in the Cash series gets taken to new heights here. Even as American II:Unchained contains traditional country tunes by the like of Roy Clark, Jimmie Rodgers, and the Louvin Brothers—as well as a version of Petty’s “Southern Accents”—the record remains famous for the rendition of Soundgarden’s “Rusty Cage,” proof Cash could literally make any tune his own. Buoyed by an inventive arrangement crafted by Stuart and Heartbreakers guitarist Mike Campbell, and that opens with a driving acoustic guitar before turning electric at its midpoint, the song comes as close to hard rock as Cash ever ventured. It also endures as a testament to how much Cash trusted Rubin’s instincts. And how ultimately willing Cash was to take the greatest musical risks of his career. 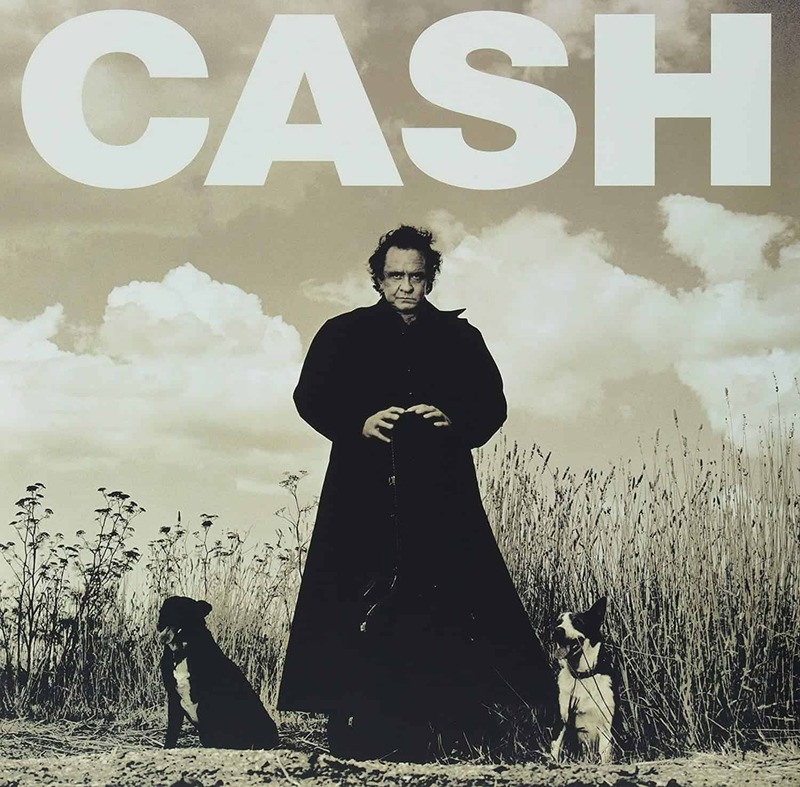 On the original pressing and the 2014 reissue, Cash’s voice occupies the center of the mix as he enthusiastically tears into the song, arguably giving the finest performance of any in the Cash/Rubin series. As both he and Rubin had hoped, “Rusty Cage” won him a look and listen from a generation of rock fans who, if they knew him at all, probably thought of him as an aging, past-it country dude famous for hits such as a “A Boy Named Sue.” It also earned Cash a Grammy nomination for Best Country Male Vocal Performance. While there’s nothing specifically wrong sonically with the original pressing or the European pressing I auditioned, the newer edition (hotter and louder than the original) breathes some needed space into the tune. Not too surprisingly, given its rocked-up nature, the Rubin-supervised remaster of American II:Unchained also sounds more confident and forward, extending frequencies both high and low. If the original domestic pressing and European edition are timid buds on a vine, the newer pressing is a fuller, looser flowering—particularly when it comes to a warmer bottom end. The rocking vibe of American II:Unchained continues, albeit more in a rockabilly vein, on “Country Boy,” one of only three Cash originals on the album, and an equally jumping rendition of “Mean Eyed Cat,” a tune he first recorded during his earliest days at Sun Records. Quieter, with boxier dynamics on the original pressing, the former song on the 2014 LP features a more prominent electric guitar—a bit of a surprise considering the entire series of albums primarily capitalizes on Cash’s vocal qualities. Petty and company can barely restrain themselves on both cuts, eagerly propelling everything forward. How Rubin kept a guitar solo out of either song testifies to his discipline as a producer. A final nod to the big smiles American II:Unchained elicits from participants and listeners alike comes when Cash willingly throws himself into a rousing, tongue-twisting version of the Hank Snow novelty tune “I’ve Been Everywhere” to close the set. It’s a gas, and one that ended up as a playlist hit and the theme to a television commercial. It’s also a joyous cap to the first two Rubin/Cash albums, recorded before the singer’s illness began to be audible.